As I was walking my dog Tucker last night through some freshly fallen snow, these thoughts popped into my head. 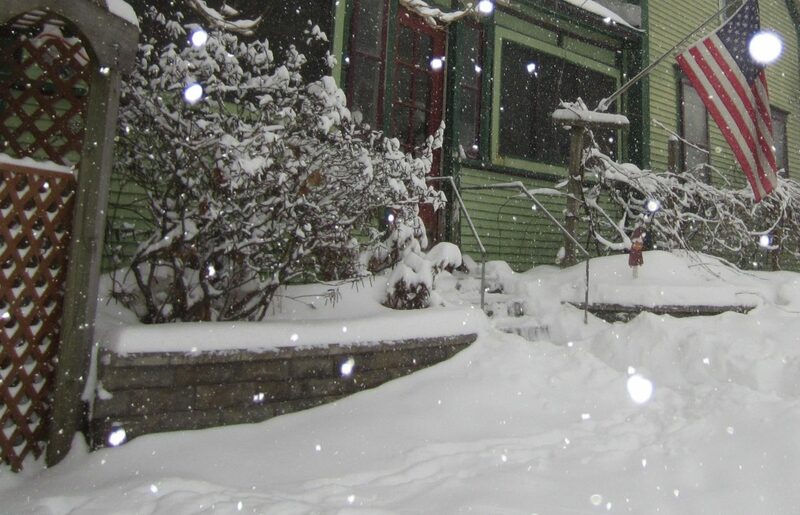 Why do some older Vermonters call the snow “Poor man’s fertilizer”? And is the snow beneficial to the landscapes we install here at di Stefano Landscaping, as well as farmer’s crops? Didn’t read about this in an Old Farmer’s Almanac once? I know it’s probably a strange thing to think about on an evening stroll, but when it’s pitch black at 5:30pm and about 18 degrees, I figure it’s okay to let the mind wander to positive things instead of what might be lurking around the corner! With these questions still on my mind this morning when I got our office, I did a little research on the matter. I found that indeed there are not only natural fertilization benefits, but also several other benefits to having snow in your ornamental landscape. Along with the fact that snow is made up of frozen water, it also contains nitrogen. When it snows it deposits it into the soil. This is true of lighting and rain showers as well. In fact they contain higher amounts of nitrogen than snow. However the long melting process of a thick layer of snow allows for the slower release of nitrogen and the soil is able to better absorb it than in a quick summer rainstorm. Traditional fertilizers provide a much stronger dose of nutrients to your ornamental landscape, but every little bit helps right! 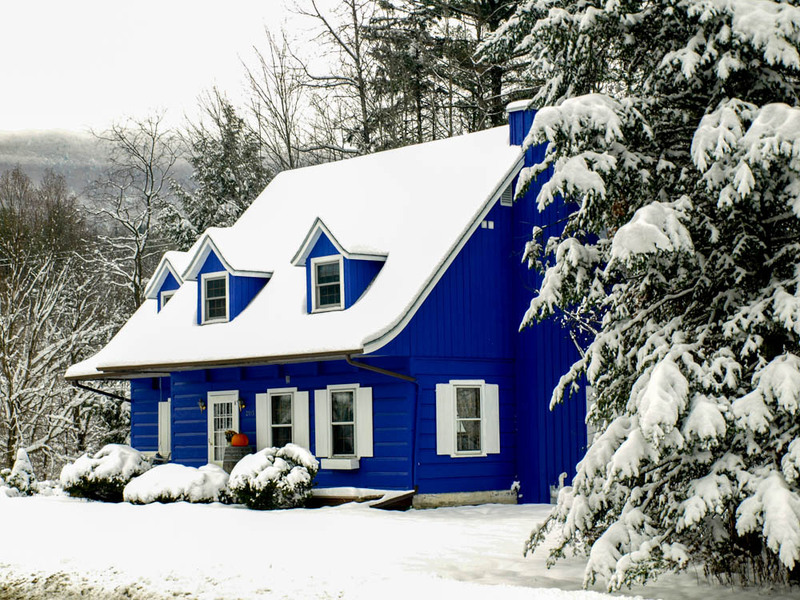 Snow acts as an insulator against the freezing temperatures of our Vermont winters. A nice layer of snow helps to prevent the frost from penetrating even deeper into the soil. This increased layer of ground frost can damage the roots of trees, shrubs and perennials. 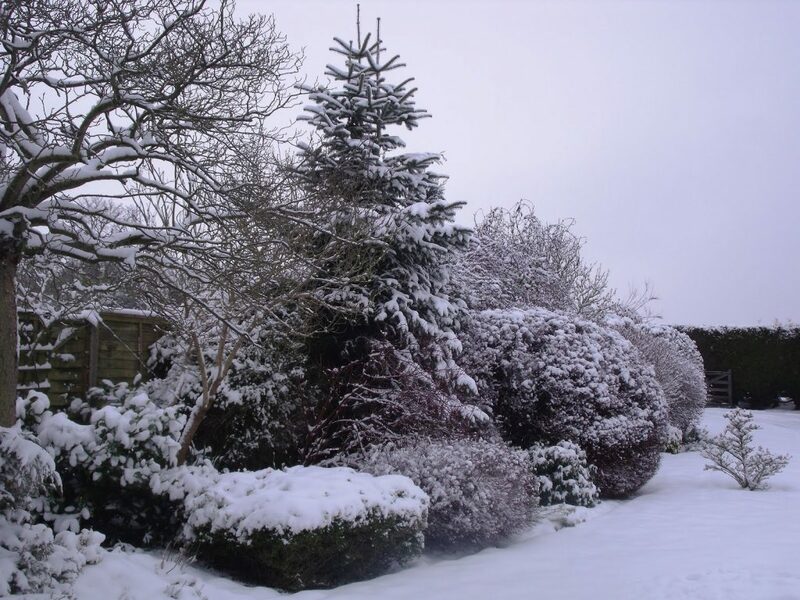 A layer of snow also aids in protecting covered plants from the harsh winter wind and sun that can dry out plant material and cause winter kill of branches. 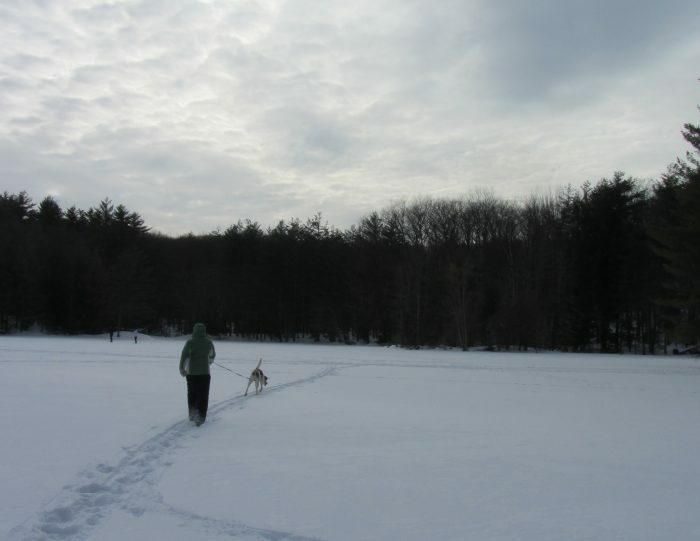 A thick layer of snow helps to preserve soil moisture for the plants throughout the long Vermont winter. 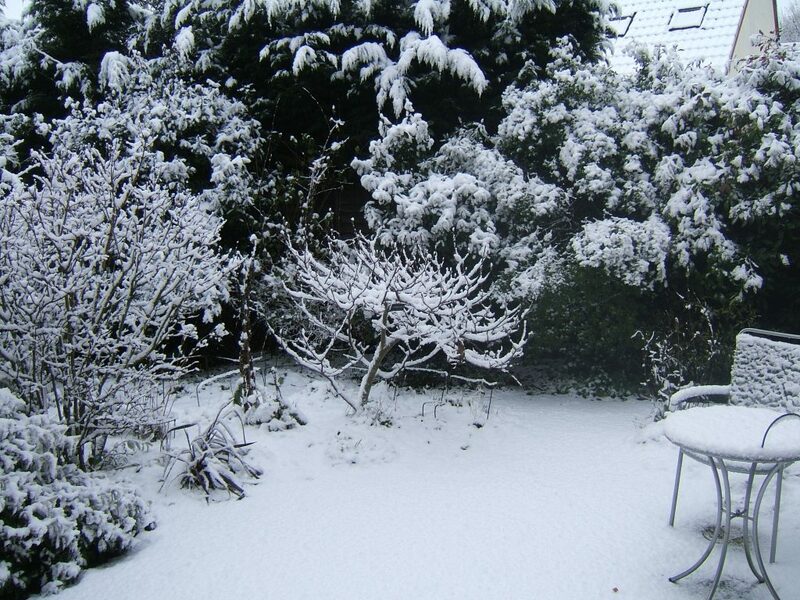 Snow can highlight different aspects of your garden. A good landscape design takes our long winter into consideration. Evergreens are incorporated throughout the design not only for structure, but also to provide the landscape with a little green that we miss during the winter. Ornamental features such as exfoliating bark, interesting branching patterns, bark color or texture tend to catch a viewer’s eye more this time of year. 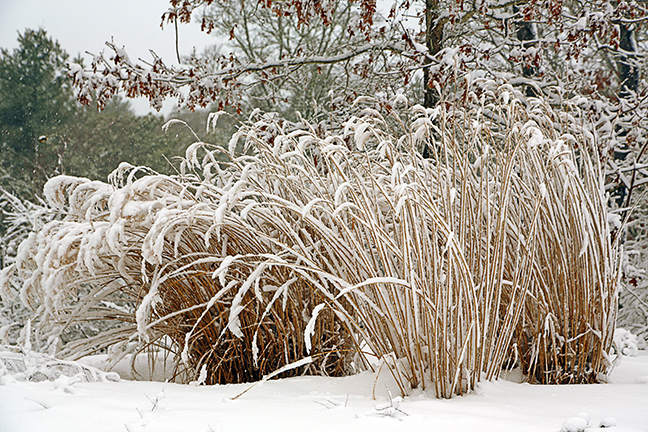 Plants like Red Twig Dogwood show off red branches brilliantly against the snow and ornamental grasses left standing provide texture and movement to the landscape in the winter breeze.